There is on street parking and garages right across the street. Public transit stops near MGH Charles Street and Government Center. Antonio's serves up fresh & tasty dishes from both northern and southern Italy. While dining you're surrounded by 18th century prints of Italian Renaissance artists such as Michelangelo and Leonardo da Vinci, and authentic Italian music serenades you in the background. Located on historic Beacon Hill, across from Mass General Hospital, Liberty Hotel, and Wyndham Hotel. Serving Lunches $11.00 and under and diner $23.00 and under. 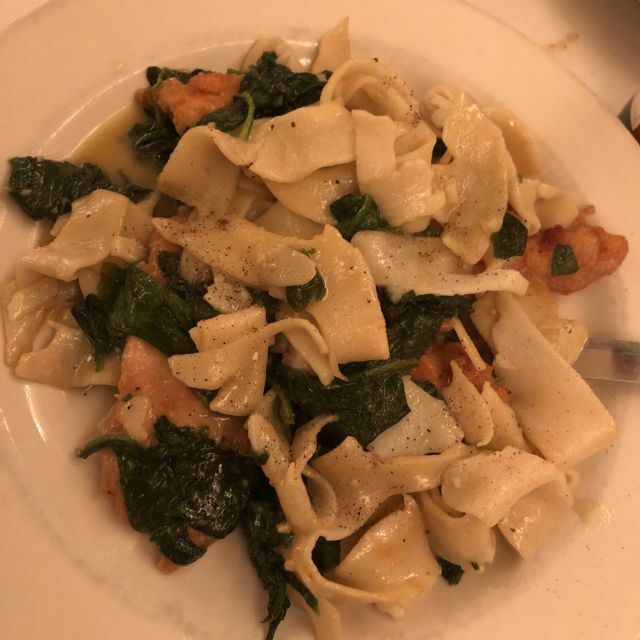 Antonio's is a great neighborhood destination. 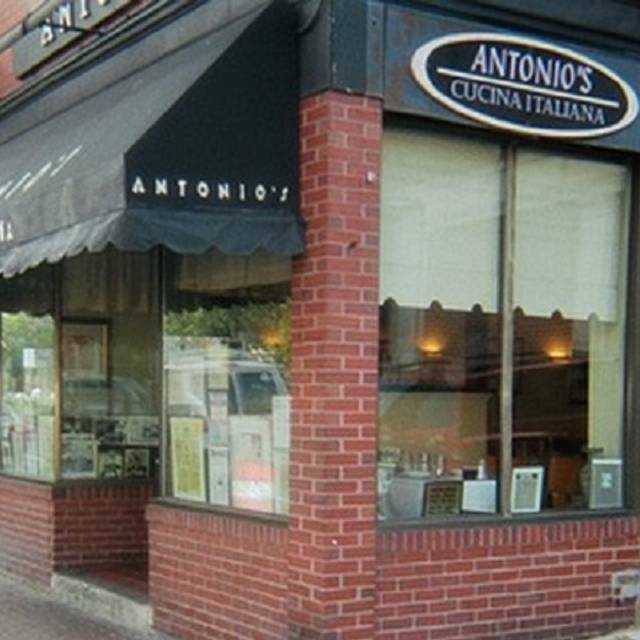 The Boston Globe calls Antonio's "A treasure for anyone who happens upon it." Great food, fast service and amazing value. North End quality on Beacon Hill. Uninspired food and preparation. Felt and tasted like they had ten ingredients that they mixed into every dish. The food is fantastic! Great Italian cuisine and plenty to choose from on the menu. Waitress was complaining to other staff and ruined our meal! Excellent food. Large portions and fast to your table. Our sever was impatient and we felt rushed. When we asked questions, it was a yes or no answer. We felt like we were imposing. The service is great and the food is even better. They have a well priced wine list that doesn't break the bank. Two gentleman worked the host station, both underdressed and one in tattered jeans. We are certainly not the type of people looking for a team of employees to sing happy birthday, clapping hands, and handing out free deserts. However, when an open table reservation is created with special occasions remarks, they should be acknowledged. A simple candle on our desert plate would have been a nice touch. The Carbonara was Alfredo sauce with linguine and pancetta, not a traditional egg/peas/pancetta. It tasted fine, but it was a definite curveball when you didn’t order a heavy cream sauce. Dinner was tasty, and our server was fantastic. Great Cannolis. We always enjoy this neighborhood Italian restaurant. The food is consistently delicious, service has always been efficient, good value for our money. It is small, so reservations are a must. Only complaint is the noise level. 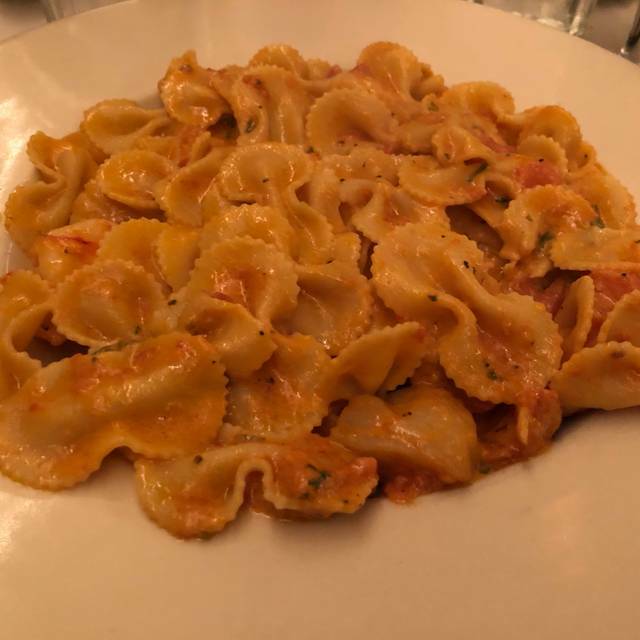 Great for what it is, unpretentious, full portioned Italian fare. Wait staff efficient, especially if you have a pre sports game dinner, which is time limited. Usually leave with substantial left overs. Great cold or warmed. WORST DINNER I’VE HAD IN BOSTON. Appetizer (salad) was decent. Carbonara pasta was a bowl of fatty Alfredo sauce that tasted like it came from a jar. Immediately sent back. Chicken piccata was a few pieces of gooey, extremely soggy breaded chicken sitting in oil (missing capers or herbs). Absolutely disgusting place. A friend I was meeting in Boston recommended it. It's been around for a long time. Delicious food, warm and welcoming staff/service and very convenient if coming from New Hampshire. Very easy - great Italian food. Little gem of a restaraunt. Fabulous food and waiter! Wished I could go back next day! Antonio’s is always on my list of places to take visitors. Great food, staff with personality, and an ambience that is great for date night or medium sized groups. Chicken/Veal Parm never disappoints! The food was outstanding and service matched the food. Great experience, will be back when we return to Boston. This is a very nice Italian restaurant. 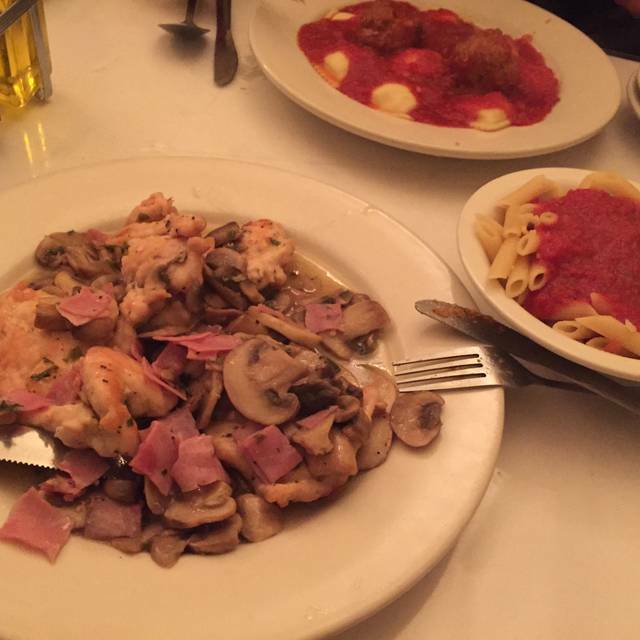 The food at Antonio's is good and a great value for the price. The service is extremely inconsistent. It's a small restaurant and we always seem to get the same waitress. If I go with my parents, the service is wonderful. She's friendly and attentive. If I go with my fiance, she barely pays attention to our table. She does not share the specials as she does at other tables and never comes by the table other than to drop our quickly drop our food and check without saying a word. I'd recommend sticking to takeout if you live in the neighborhood. Plentiful, well prepared entrees. Prompt service and food came out relatively quickly. An efficiently run restaurant, turning a lot of tables while we were there. Chicken parm is amazing! Portions are huge. Service is great. 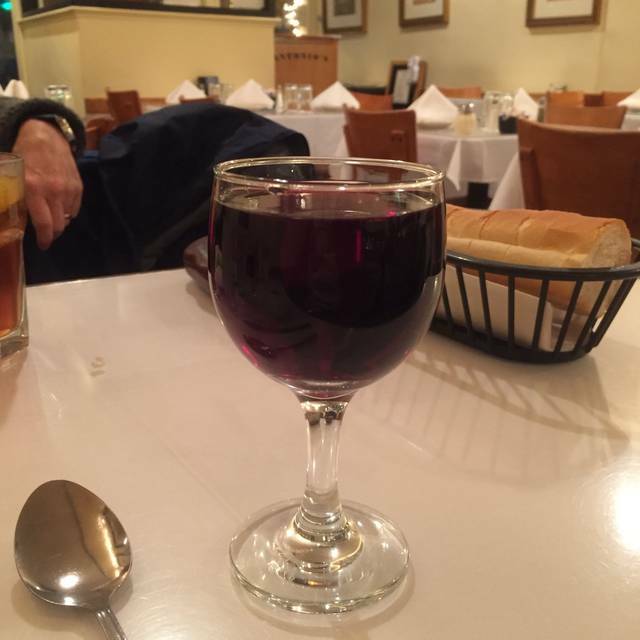 This is always a favorite of ours - food is excellent - house wine is quite good. A neighborhood gem. 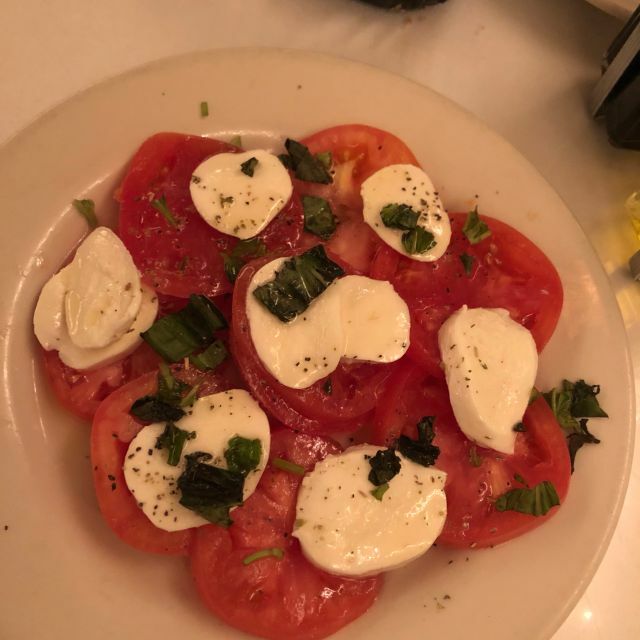 Antonio's is not the best Italian restaurant in town, but it is among the best at its price points. And, if you live in Beacon Hill, you can stay close to home on a cold night, which is what we did. The restaurant is simple and unpretentious but still inviting and warm. The staff is always eager to please and this night was no different. Our food: the artichoke appetizer was hearty, delicious and, if not shared, probably could have served as a meal. Chicken cacciatore had tender chicken, flavorful sauce, tender and delicious noodles. And our waiter was a delight, both gregarious and efficient. A pleasant meal, as usual. First time, good experience, good food we will definitely return. Parking always a problem at this location, they can’t seem to find our reservation so ended up waiting for a little while. We ordered food off the menu instead of our usual specials and it was mediocre at best. If your craving pasta definitely come here - best pasta I've ever had! My second trip here was as good as the first. I had a veal saltimbocca special and it was great. I forgot to ask for no mushrooms and there were a lot of them for me to pull out. So if you like mushrooms, you'll be very happy with the volume that were included in this dish. 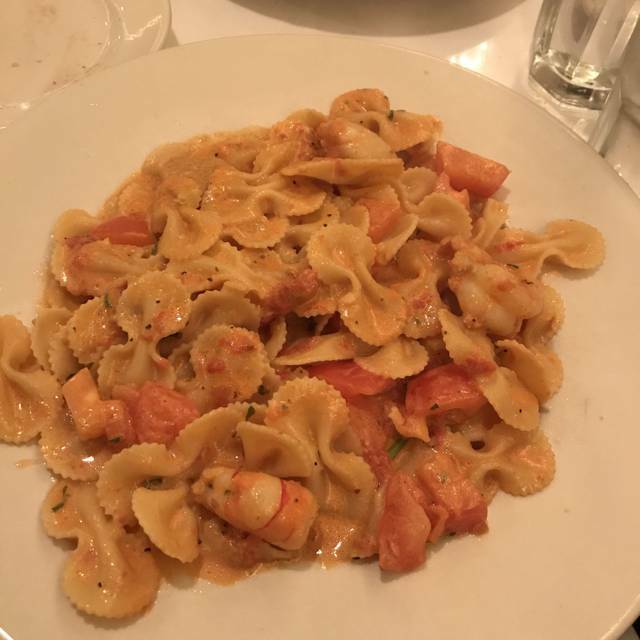 This was our second time at Antonio's ...as before, food was wonderful...service was a little slow, but they were busy....would recommend...but know the place is really small...tables are very close to each other...but otherwise place is great...especially the food! Great meal. This place was recommend by three or four people. Short walk from the Mass General Hospital. We had Veal Piccata & a Veal special that was like a Cordon Blue (ham & cheese inside a rolled veal patty). Some of the pastas are homemade. I tried the homemade fusilli and it was excellent and cooked al dente (mmm!). The menu has a lot of options. The place is small and it was very crowded on a Tuesday night. One strange omission from the menu was calamari. There was otherwise a good choice of appetizers. Food was excellent and was served very quickly (maybe not so good if you feel that is rushing you out). We were fine with it. Will definitely go again. It was a rather embarrassing pick for a dinner with colleagues. The host, who was probably the owner, was not friendly on arrival and pointed to the table instead of escorting anyone to their seat. The server barked off the specials while looking off into space. It was hectic and distracting the whole time. They acted as though they wanted us up and out about ten minutes into our meal - they were staring at us, trying to take plates when we hadn't finished at all, were annoyed when we ordered dessert. I don't think anyone smiled or was the least bit hospitable the entire time. I think Olive Garden puts more thought into their food - everything tasted like uninspired cafeteria Italian food. 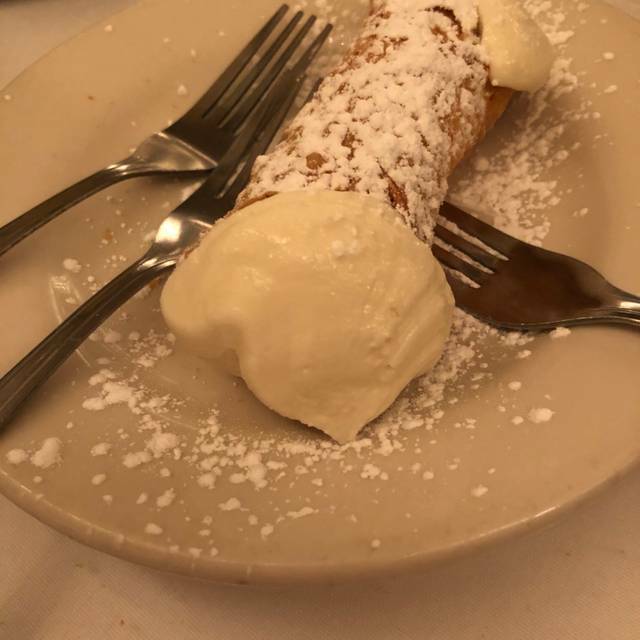 The best thing was the canoli, which I pretty much had to shove down my throat because they wanted us to leave so badly. When ever I dine here, I ask myself why I don’t come here more often. The food is great, the portions generous, the prices are good.